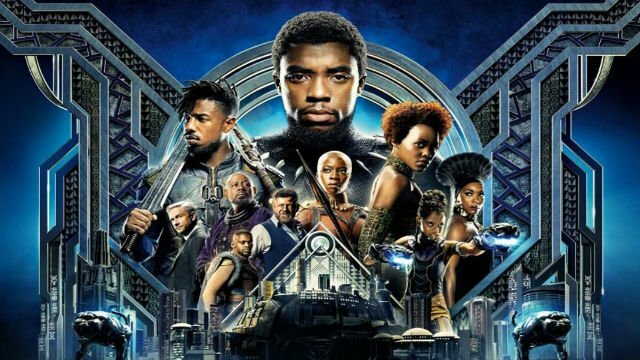 Black Panther once again made history when it became the first superhero movie to earn an Academy Award nomination for Best Picture. Although it faces some stiff competition against seven other films in this year’s ceremony, the nomination further solidifies the genre’s capacity to be more than just action-oriented popcorn fare. This notion wasn’t lost on several of the film’s cast and crew members, who chimed in with their two cents in the wake of this morning’s announcement. RELATED: Black Panther & Spider-Man: Into the Spider-Verse Score Oscar Nods! We’ve yet to see any feedback from Coogler or star Chadwick Boseman. However, two of Black Panther’s leading ladies, Lupita Nyong’o (Nakia) and Letitia Wright (Shuri) shared their responses on Twitter. Nyong’o used the occasion to share a video of the cast and crew’s first time seeing footage from the film at San Diego Comic-Con in 2017. You can check out both of their tweets below. The Academy Awards will air on Sunday, February 24 on ABC. Share your thoughts on the stars’ reactions and speculate on the film’s chances of winning in the comment section below!